My garden is very simple, and it is an heirloom garden because it contains iris bulbs from three generations of my maternal family—my great-grandmother, grandmother and my mother. Some are bearded iris and some are what you might call "ditch iris" as they are very old and actually grew in the country ditch of my great-grandparents' property, who also operated a dairy farm on their land. I do remember my great-grandparents were my influence in wanting to garden. They had an enormous vegetable garden on their farm, as well as many fruit trees. My great-grandma worked very hard in her garden, and we grandchildren were not allowed in it. Ever. Three generations cooked, preserved, canned and served fresh items at our monthly Sunday family gatherings at the farm. I transplanted the iris from my great-grandparents' farm, but regretfully, my great-grandma had already passed away, and my great-grandfather was in a care center at the time. I wish she could have seen my garden! 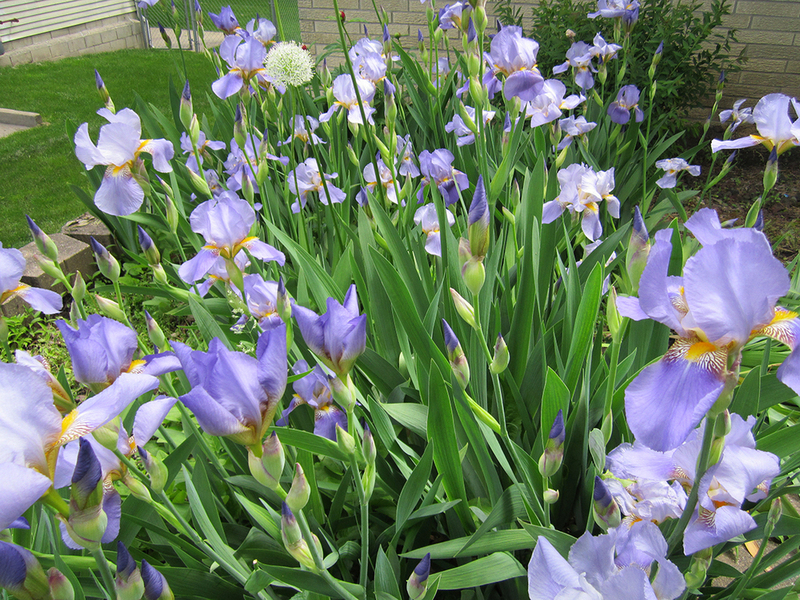 The second generation down was my maternal grandmother, and after I was married thirty years ago and had our own home, my grandma invited me to her home to take as many iris as I wanted, as her bed needed to be thinned out. That would have been my great-grandmother's daughter. So yes, grandma was a frequent visitor at our home and was so glad to see her flowers in our yard! Then when my parents moved from my childhood home, yes, I dug up some there too! My grandmother's meant so much to me and I loved them so. My iris bed was complete with my mother's mixed in as well! I suppose my heirloom garden is about thirty years old. Iris are very hardy and one can almost just lie the bulbs on top of the ground when planting! Well, not quite, but only a little ways down in the ground; barely an inch. In the past, while I did not have any other heirloom plants, I have had the Thomas Jefferson beans, which grow beautifully up a chain link fence even! I have not planted them for a couple of years, as deer have been quite plentiful in our yard. I have found the iris to be very very hardy, survive the Iowa winters, and all with almost no care at all.